In order to offer management training during the post WWII industrial boom, Abbott Laboratories, Fansteel Metallurgical Corporation and Johns-Manville Products Corporation joined forces with Lake Forest College to form the Lake Forest College Industrial Management Institute in 1946. Lake Forest Graduate School of Management subsequently amiably separated from Lake Forest College. Today, Lake Forest Graduate School of Management is an independent, not-for-profit institution known for its practical education model. While Lake Forest Graduate School of Management is known for its online experience, Leadership MBA classes are also held at the school’s two Chicagoland campuses. 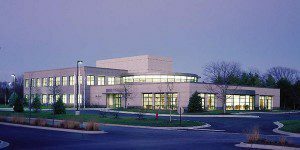 The Lake Forest Campus is north of downtown Chicago on I-94, located at 1905 W. Field Court, Lake Forest, IL 60045. The Schaumburg location is northwest of downtown at Woodfield Corners, 1300 E. Woodfield Road, Suite 600, Schaumburg, IL 60173. The Schaumburg campus is located about 15 miles from the O’Hare International Airport. The W. Field Court campus is less than 30 miles north of the O’Hare International Airport. Lake Forest Graduate School of Management’s faculty is comprised entirely of 131 members who reflects the school’s commitment to practical, hands-on learning, mentoring, collaboration and teamwork experiences. The Lake Forest Graduate School student body of 734 students is made up of 42 percent female students and 58 percent male students.